Dr. Nancy Nason-Clark, a professor of sociology at the University of New Brunswick’s Fredericton campus, is to be inducted later this week as a Fellow of the Royal Society of Canada – the highest honour a scholar can achieve in the arts, humanities and sciences. An internationally recognized researcher, Dr. Nason-Clark’s innovative research on religion and domestic violence has altered how academics understand violence in families of faith and how religious leaders are trained to respond. She has received numerous awards for harnessing the academic rigor of her scholarship as the basis of a call for social justice. 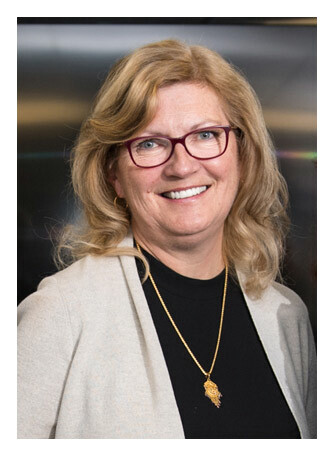 A native of Saint John, N.B, Dr. Nason-Clark joined UNB’s faculty of arts in the department of sociology in 1984, coming directly from her PhD studies at the London School of Economics and Political Science in London, England. “I have had an awesome career with a wonderful team that has allowed me to raise awareness of the intersection of family violence and religious communities to a national and international audience,” says Dr. Nason-Clark. She is Canada’s foremost expert on religion and domestic violence. For more than 25 years, her groundbreaking research has pushed scholarly debate in the sociology of religion and gender studies to include religion as part of the solution to abuse. A leader and collaborator, Dr. Nason-Clark is an innovative and highly productive scholar who is passionate about her research and its social implications. She has served as president for the Society for the Scientific Study of Religion, the Association for the Sociology of Religion and the Religious Research Association. In 2005, Dr. Nason-Clark was awarded research funds from the US Lilly Endowment to develop and implement The RAVE Project, the first evidence-based online series of training and resources to assist religious leaders and congregations worldwide. "During the 150th anniversary celebrations of our country, we are particularly proud of these outstanding scholars, artists and scientists whose career contributions have been extraordinary," says Maryse Lassonde, president of the Royal Society of Canada. The Royal Society of Canada was founded in 1882 and comprises the academies of arts, humanities and sciences. Its mission is to recognize scholarly, research and artistic excellence, to advise governments and organizations, and to promote a culture of knowledge and innovation in Canada and with other national academies around the world. The ceremony inducting Dr. Nason-Clark into the Royal Society of Canada will be held on Nov. 25 in Winnipeg.